Le Blanc De Chanel creates a radiant complexion that evens out skin tone, reduces redness, lightens dark circles, and brightens blemishes. It could just as easily be used on its own to enhance the natural complexion or as a primer beneath make-up. It can be worn underneath either gel or liquid foundations as well as mineral based make-up. For drier skin types this primer injects a little extra moisture, giving the skin a plump, fresh look. The soft focus finish gives a smooth, flawless base that blurs any imperfections and feels lightweight on the skin. Although it doesn’t claim to, I found Le Blanc De Chanel prolongs wear time and enhances the colour of make-up. For someone with pale skin that can look dull in winter, Le Blanc De Chanel provides a lightweight primer that blurs and corrects all imperfections while also highlighting the skin giving it a natural looking radiance. The only real negative I’ve encountered with the product is in the design. There is no pump, which makes the wide necked bottle rather awkward to use. A spatula is provided to dip into the primer, which is easily misplaced, or the alternative is to tip the bottle into the palm of the hand. Either way it is hard to judge the correct amount and a pump would be preferable. 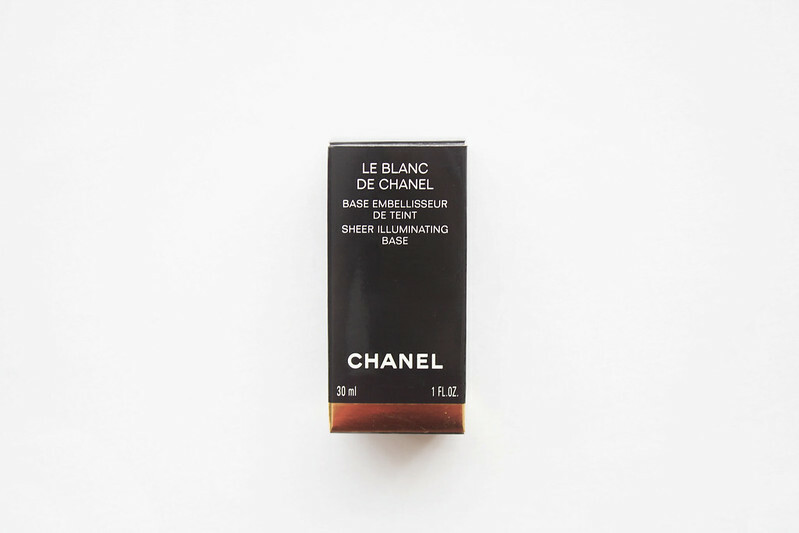 Otherwise I'd say Le Blanc De Chanel is flawless. sounds like a miracle worker! great review, thanks sophie! I am so into Chanel right now. I'm using a Chanel foundation and it's divine.